Drake’s Bay, located in the Point Reyes Peninsula, is the home to a third-generation oyster ranch. This estero is responsible for nearly half of the oysters produced in California, but Drake’s Oyster Co. only sells their oysters locally. However, even this prodigious amount of oysters cannot keep up with the demand in the Bay Area which is predominantly supplemented with oysters shipped from farms in the Pacific Northwest, the Gulf, and the Atlantic. In many ways, oysters are a magical protein source to cultivate. They are filter feeding animals that can also filter excess nitrogen, phosphate, and sediment. At the same time, they require no fresh water to grow. They are like the kidneys of the ecosystem! It is almost alchemical the way oysters can turn pollutants into delicious, aphrodisiac proteins. Amazingly, the shells of the oysters also have tremendous ecological benefits. One way the shells are repurposed is by making them into a reef which native oyster species can attach to. The oysters grown at Drake’s are a non-native, but non-invasive species of oysters which require human stewardship to grow. For the last century, all of the labor has been done by this small family, and the workers that have become a part of their family. The controversy at Drake’s Bay has literally divided the Marin community. 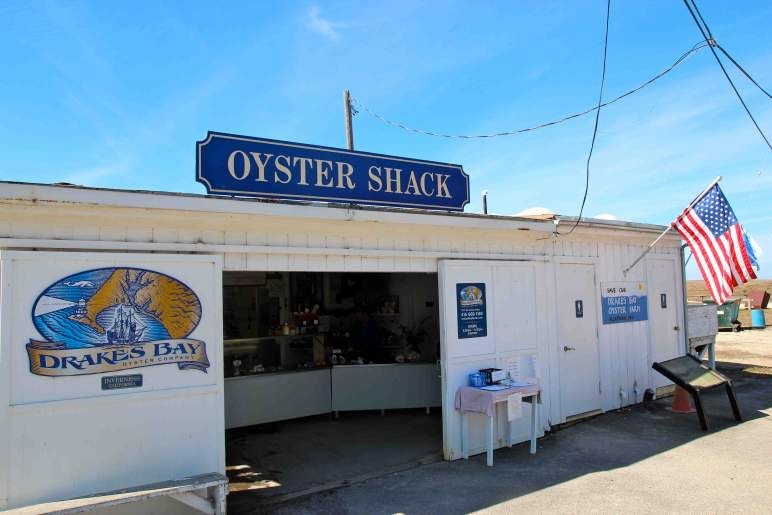 In November 2012, the National Park Service notified Drake’s that they would not be renewing their lease, and that this 100-year-old oyster farm would have to shut down. There is a huge wave of support to save the oyster farm from people such as California’s gastronomical legend, Alice Waters, and U.S. Senator, Dianne Feinstein. One obvious implication of closing the farm is that in order to keep up with the oyster demand, most restaurants would stop serving local oysters. Many of the oysters served in restaurants in the Bay Area would be shipped from Asia (mostly Korea), which would increase the carbon footprint and hurt a local food industry. The future of this farm could be decided anytime between now and the next six months. I had the privilege of driving to the oyster farm this Fall. Getting to the farm is a bit of an enigma to find, but well worth the drive. My friend and I shared a dozen freshly harvested oysters that tasted so fresh and salty – pure bliss when we squeezed a touch of lemon on top. Several months later, I went to a dinner discussion at 18 Reasons with the Lunny’s, the owners of Drake’s. Over a meal of oysters on a half-shell and oyster stew with fresh Acme bread, they spoke about their love for oyster farming and the importance of the food that they are producing. They said they feel as though they have “one foot in the grave and one foot on a banana peel”. You won’t even find many conservationists who are against ending this successful, small family-run business. However, this is a decision left to the lawmakers in D.C. and while some hope remains, the future for this farm, which is also the last cannery in the state of California, looks dismal.